This Sock Monkey Amigurumi Is So Adorable! 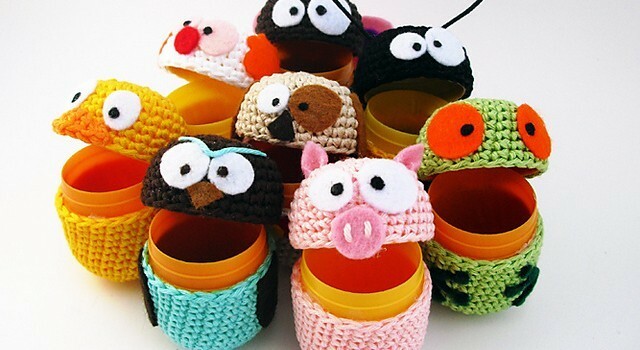 Here is a gorgeous idea on how to make a little amigurumi container you can use to store some candies, really small jewelries, or anything else you can think of and fits the little box. The support used to create this amigurumi is the plastic shell you can find in those Kinder surprise eggs. Ovetti Amigurumi by Ilaria Caliri it’s an easy to make amigurumi toy which you can easily decorate using your imagination. Use the featured image as inspiration if you need, and make all those funny amigurumi puppets for fun and for joy. Thanks to Ilaria Caliri for the article inspiration and featured image. Yes, the En version is available also.